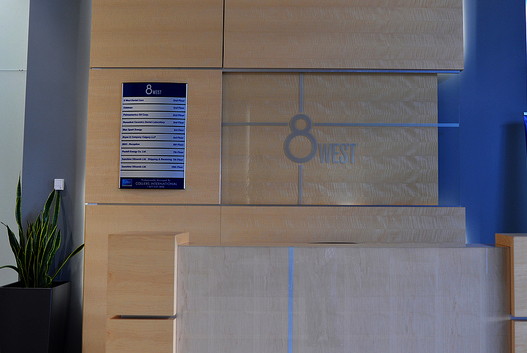 8West Dental Care is a Downtown Calgary dental clinic offering a wide range of modern dentistry services to the highest standards. Book your appointment today. We are on the second floor of the 8 West building. There is a TD Canada Trust on the ground floor. We are one block south of the 8 St West station. There is street parking right in front of our building. There is an Impark lot to the west of us and a parkade across the street in the University of Calgary downtown campus.